A design lovers must-have, the Fredo set of 2 Coffee Tables from Eichholtz’s furniture collection are both stylish and timeless. 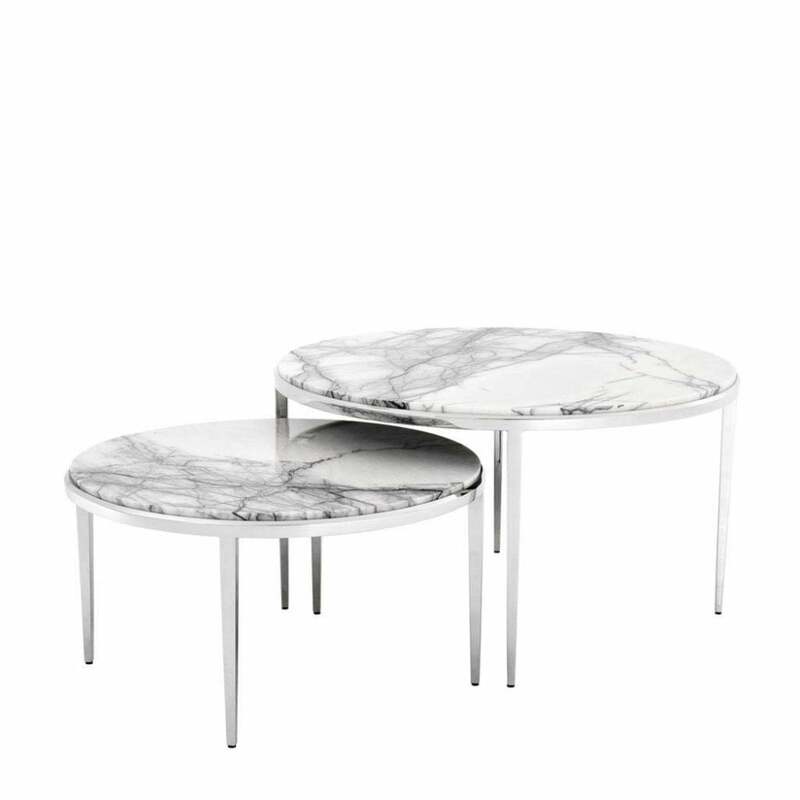 Finished with a natural bianco, lilac marble top, these round tables fit perfectly together in modern living space. The round design and exquisite surface detailing is complemented by a polished nickel base. The Fredo Coffee Tables add texture and depth to a minimal and modern interior forming an elegant focal point that has endless designer appeal. Style with your favourite coffee table books, metallic accessories and greenery to create a personalised look. Combine with the Fredo Side Table by Eichholtz for a cohesive living room scheme. Make an enquiry for more information.